Pennsylvania has a flat state income tax rate of 3.07%. This is the lowest rate among the eight states that have flat income tax rates. However, many cities in the Keystone State also collect local income taxes. Without the help of a paycheck calculator, it’s tricky to figure out what your take-home pay will be after taxes and other monies are withheld. For starters, all Pennsylvania employers will withhold federal and state income taxes from your paychecks, as well as FICA taxes. Depending on where in the state you live, you will likely also pay local income taxes. As for your FICA taxes, 6.2% of your income goes to Social Security taxes. Your employer is responsible for matching this amount for a total of 12.4% that the government receives to fund the program. Medicare taxes follow a similar process, with 1.45% being collected from both you and your employer (for a total of 2.9%). Any income you have in excess of $200,000 is subject to an additional Medicare surtax of 0.9%. (Your employer doesn’t match this surtax.) Together, Social Security and Medicare taxes make up FICA (Federal Insurance Contributions Act) taxes. If you’re self-employed, you are responsible for paying the full FICA taxes yourself. Luckily, there is a tax deduction that you can take when you file your taxes in order to alleviate the burden of that high self-employment tax. Whether you work for Philadelphia International Airport or the University of Pittsburgh, your employer also withholds money from your paychecks to pay federal income taxes. These taxes are withheld from your pay throughout the year to cover a range of public expenses. How much your employer withholds in federal income taxes depends on factors like your salary, your marital status, how many allowances you claim on your W-4 and whether or not you choose to have additional tax withheld from your paychecks. 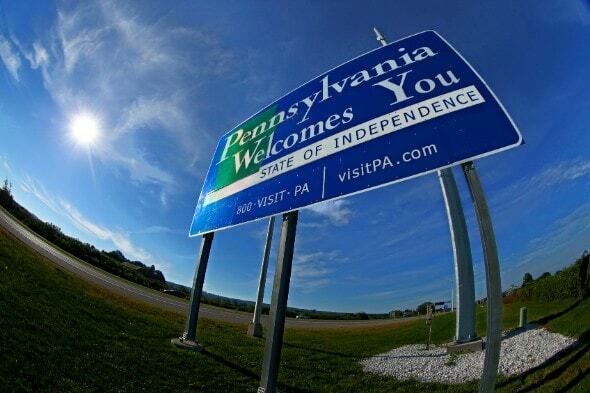 Pennsylvania levies a flat state income tax rate of 3.07%. Your income level and marital status will not affect the income tax rate you pay at the state level. Pennsylvania is one of just eight states that has a flat income tax rate, and of those states, it has the lowest tax rate. Just like federal income taxes, your employer will withhold money to cover this state income tax. Pennsylvania also levies local income taxes in about 2,500 municipalities. And of Pennsylvania’s 500 school districts, 469 of them levy a local income tax. If you're planning on relocating to Pennsylvania and want to purchase a home, refer to this Pennsylvania mortgage guide for key information about mortgages in the state. The table below lists the local income tax rates in some of the state's biggest cities. There are several ways you can have an impact on your paycheck. One aspect that you can control is the number of allowances you choose to claim when you fill out your W-4 form. Claiming more allowances means your employer will withhold less for taxes and thus more money will remain in your paycheck. The catch with claiming more allowances is that you risk not removing enough income taxes throughout the year. If that happens, you’ll owe money to the IRS when you file your taxes. Claiming fewer allowances means that more of your money is withheld from your paycheck. This lowers your likelihood of owing any money to the IRS in April, but the potential downside is that you could withhold too much and wind up getting a big tax refund come April. While it feels nice to get a big refund, it’s also nice to have that money in your bank account throughout the year. The ideal scenario, then, is that you get your withholdings just right so you neither owe a lot nor get a big refund come tax season. One way to ensure this outcome is to finetune your paychecks by opting for an additional dollar withholding from each of your paychecks. There is a line on the W-4 where you can enter the amount of additional withholding you’d like. So if you wanted your employer to withhold and additional $20 from each paycheck, you’d just write 20 on that line of your W-4. Pennsylvania taxpayers can also lower their taxable income by contributing to pre-tax accounts like a 401(k) or 403(b) or a health savings account (HSA). Not all employers offer these accounts, but if yours does, consider using them. These accounts pull out your money pre-tax, which means that you aren’t taxed on the earnings you contribute (though you will pay taxes when you eventually withdraw the earnings in retirement). Putting money in a 401(k) will help you save for retirement while also decreasing the amount of your pay subject to tax.